EU: Member states vote for acrylamide benchmarks – but does this go far enough? You are in : All News > EU: Member states vote for acrylamide benchmarks – but does this go far enough? 20 Jul 2017 --- European countries have voted in favor of a Commission proposal to reduce the presence of the chemical acrylamide in food because of its links to cancer. This is an important decision which marks the EU taking the first steps towards less acrylamide in food, however, some European watchdogs do not think yesterday’s (July 19 vote) went far enough and are calling on the Commission to set legally binding maximum limits. The European Consumer Association (BEUC) welcomes the vote in favor of cutting levels but wants to see more robust legislation concerning the cancer-causing chemical. Changing Markets Foundation and corporate watchdog SumOfUs also welcomed the vote, but both organizations emphasized that more should be done in the future and urged the Commission to start working on maximum limits. MEPs voted to adopt new rules that say food manufacturers, fast-food chains and restaurants will have to apply measures to ensure acrylamide levels in their products remain below benchmarks. Until now, the EU had relied on industry’s voluntary efforts to reduce acrylamide and levels across Europe’s food have remained more or less the same. New regulations could come into force next spring. The consumer group BEUC urges the Commission and member states to swiftly deliver on their promise to set binding limits for certain foodstuffs. “It has been fifteen years since scientists have known about acrylamide in food and warn about its effect on health. Yet, levels of this cancer-causing contaminant in Europeans’ food have remained roughly the same. 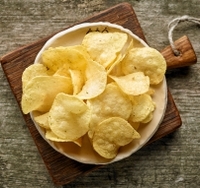 So it is good news the EU is finally obliging the industry to act and reduce acrylamide in their fries, crisps, bread, biscuits, or coffee,” says Monique Goyens, Director General at BEUC. Acrylamide is a chemical which has been shown to be present in food as a result of cooking practices, some of which have been used for many years. Therefore finding ways to reduce the levels is not straightforward. In particular, starchy foods have been shown to be affected, such as potato and cereal products which have been deep-fried, roasted or baked at high temperatures. The Commission has been working for years in relation to acrylamide, adopting a recommendation to monitor levels in food back in 2007. Acrylamide data has also been collected and compiled over the years by the European Food Safety Authority (EFSA) and several reports have been published. Once implemented, the new regulation will require that food business operators (FBOs) apply mandatory measures to reduce the presence of acrylamide, proportionate to the size and nature of their establishment. Commissioner for Health and Food Safety, Vytenis Andriukaitis, welcomed the vote. “We took an important step in protecting the health and well-being of citizens. The new regulation will not only help to reduce the presence of this carcinogenic substance but also will help raise awareness on how to avoid the exposure to it that oftentimes comes from home-cooking,” he said. Acrylamide is considered a public health concern by the EFSA as its presence in food increases the risk of developing cancer, with young children being the most vulnerable. Under the agreed approach, businesses involved in the production of typically acrylamide-rich foods such as bread, breakfast cereals, biscuits, fried potato products and coffee would be required to apply acrylamide mitigating measures across their production chain from the end of 2017. The legislation also sets acrylamide reduction benchmarks for each food group that businesses are expected to comply with. The European Parliament has three months to consider these measures. Most notable shortcoming of the regulation is that the reduction benchmarks are not legally binding and the review clause contained in its proposal, aiming to set these limits, does not include a time-frame. As such, the approved text does not protect consumers from food products with high levels of acrylamide as their sale continues to be permitted and it gives the discretion to act to member states. The Commission committed in the European Parliament that they will introduce maximum limits on certain food groups as soon as the current proposal is adopted, says Urbancic. You can read more on acrylamide-reducing yeast here. Acrylamide European Commission Foodstuffs Cancer Chemical Vote Mandatory Measures.